I could not let National Poetry Month pass without presenting verse by James Gay, Poet Laureate of Canada (self-proclaimed) and Master of All Poets (self-proclaimed, I guess). One of his longer poems, this concerns the tragic death of George Brown. Not much attention is paid Brown these days, but he once held great sway as unofficial leader of the federal Liberal Party and editor of the Toronto Globe. Such was his stature that three of the Four Jameses wrote verse about the man. James MacRae, who lived and died in a house not a five minute walk from mine, believed Liberals to be in league with Satan. It would be inappropriate to quote his verse here. The wrangle and jangle of political life. Though I've seen it described as such, Brown's death was not a political assassination. 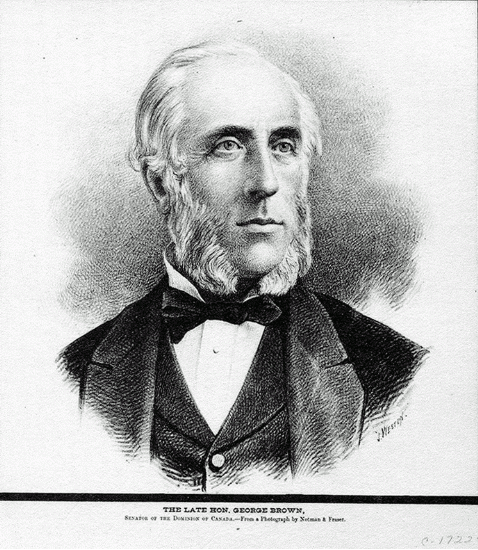 What happened was this: On 25 March 1880, George Bennett, a drunk and disgruntled former employee, walked into the Globe offices demanding a certificate recognizing past service. Brown, who did not know his visitor, suggested he see the foreman. Bennett pulled out a gun. One presumes he meant to shoot his former employer in the chest or head, but Brown pushed down his assailant's arm. The bullet entered the editor's right thigh. Look up, way up, to the dramatic illustration at the top of this post. Between Bennet's feet you'll see that artist Henri Julien has titled his work "Attempted assassination of George Brown, Toronto". The engraving was published in the 10 April 1880 edition of the Canadian Illustrated News, a little over two weeks after the incident. At the time, Brown was reported to be recovering nicely. He wasn't. Gangrene set in. One hundred and thirty-five years ago this week he was struggling for life. Sadly, Brown ended up another victim of those long-drawn-out nineteenth-century assassinations. American readers will remember that President James Garfield hung on for nearly twelve weeks after he was shot. I've made you wait enough. Knowing well he died with grit. Are truth, honesty, and his mind at rest. He cannot please God and the devil. If he wants to enjoy a happy mind. He must live in peace with all mankind. As the motto of your poet, James Gay. I hope he now has found his rest. 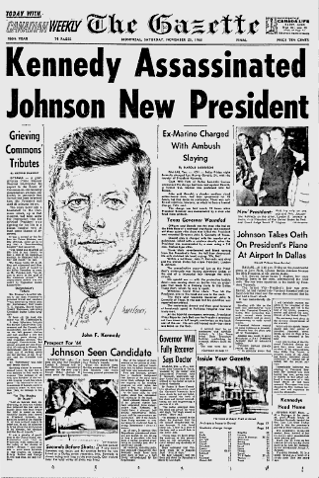 No more wrangle and jangle of political life. "The Late Hon. 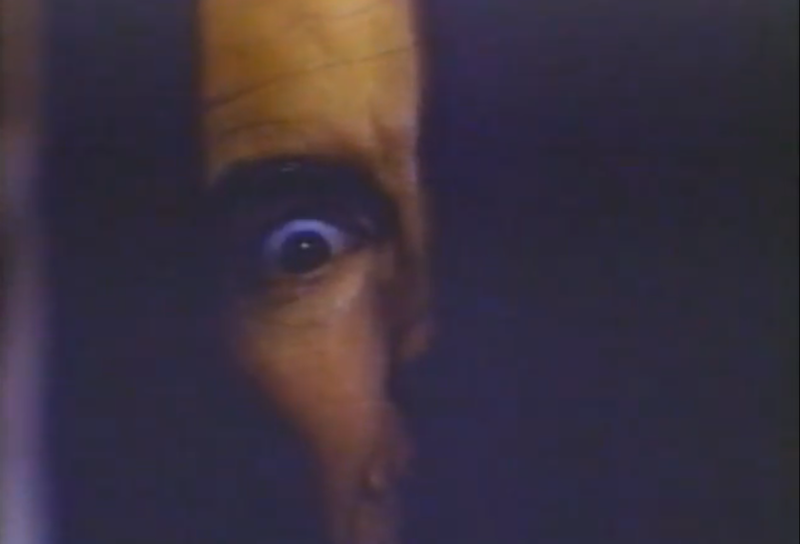 George Brown"
Straight to video, but without enough momentum to make it to DVD. I'm guessing I've missed my opportunity to see Deadly Companion. True, there are used VHS copies for sale out there, but who can be bothered? Besides, I can't figure out how to connect our old VCR to the Samsung. 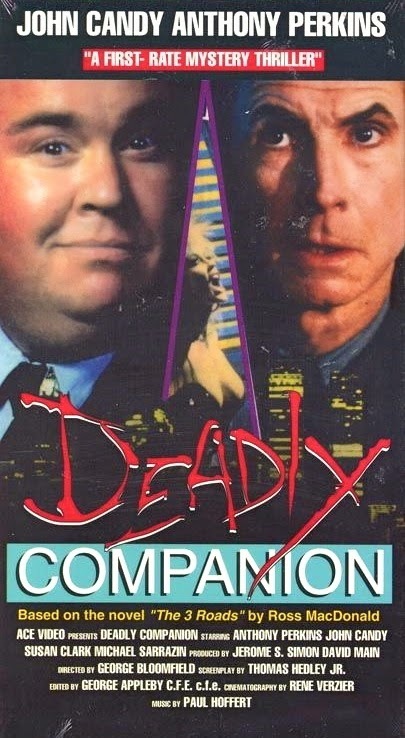 Deadly Companion was a tax shelter film. 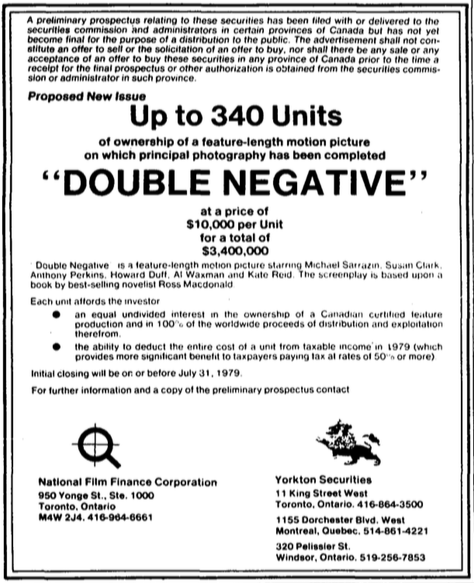 "Based on the novel 'The 3 Roads' [sic] by Ross MacDonald [sic]", it was offered up by the same Toronto production company that gave us Nothing Personal, a romcom starring Donald Sutherland/Suzanne Somers. Screenwriter Thomas Hedley (Flashdance) appears to have taken a good number of liberties with his source material. 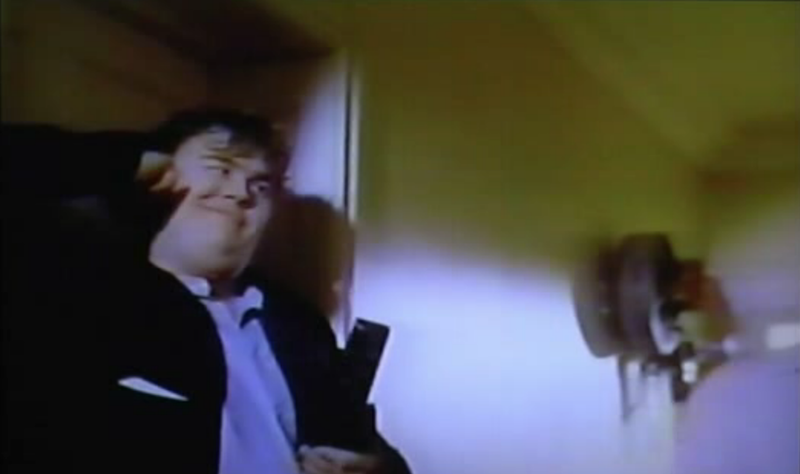 Here's John Candy as John, a character not found in the novel. 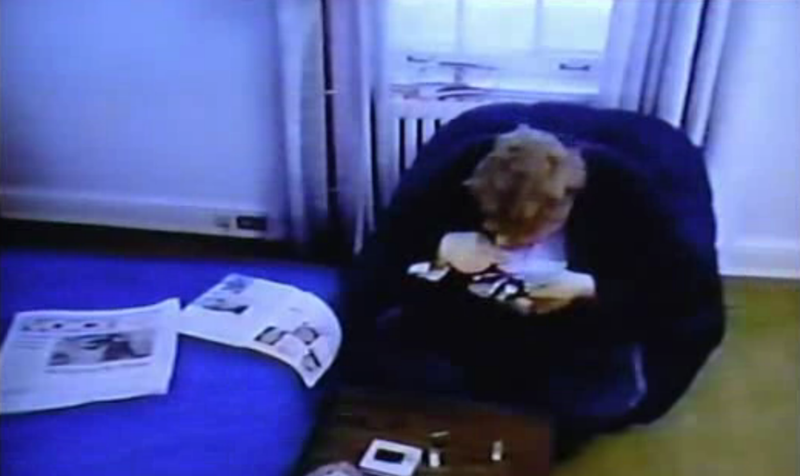 And here's John doing lines of coke. 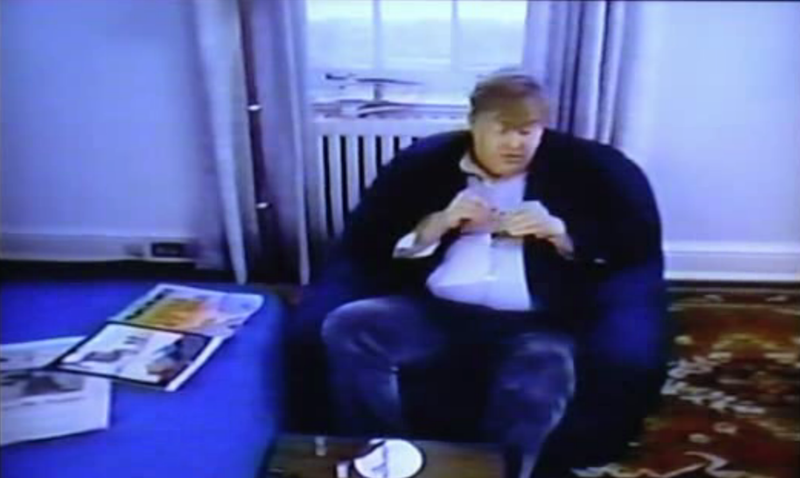 Fellow SCTV cast members Joe Flaherty, Eugene Levy, Catherine O'Hara and Dave Thomas also feature, but it's Candy who shares top billing in the 1994 VHS release. He gets less than two minutes screen time. The adaptation brings things into the 'eighties by having Taylor shed his Second World War naval uniform for a journalist's trench coat. 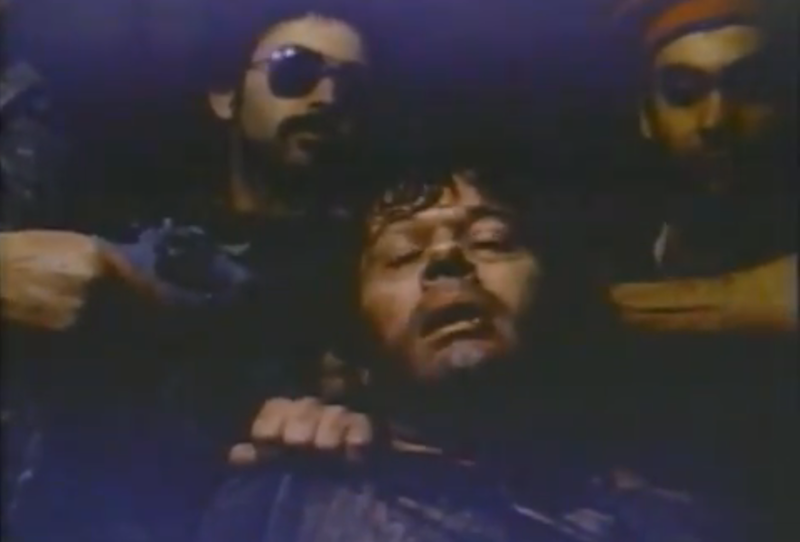 Here he's traumatized not by a Japanese kamikazes, but by Middle Eastern terrorists in aviator sunglasses. 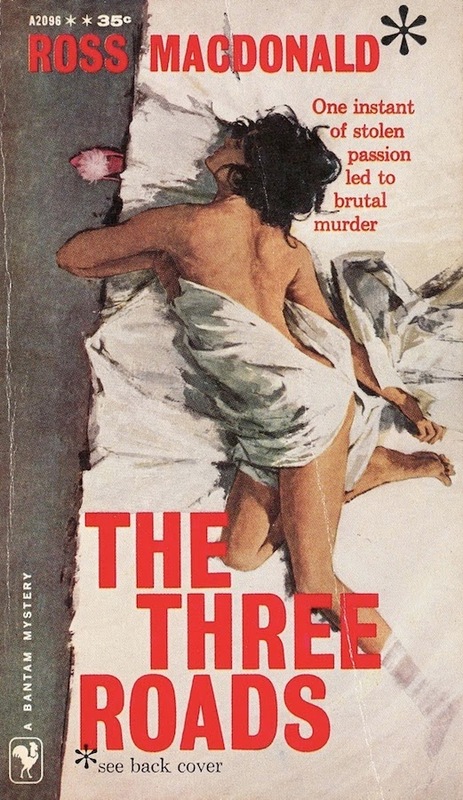 Like the Taylor of The Three Roads, Michael must also deal with the murder of his young wife Lorraine. She's given life here – fleetingly – by Pita Oliver, an actress best remembered for having survived Prom Night. Of course, she's not so lucky here. Pita Oliver is billed twenty-fifth in the film's IMDb listing. 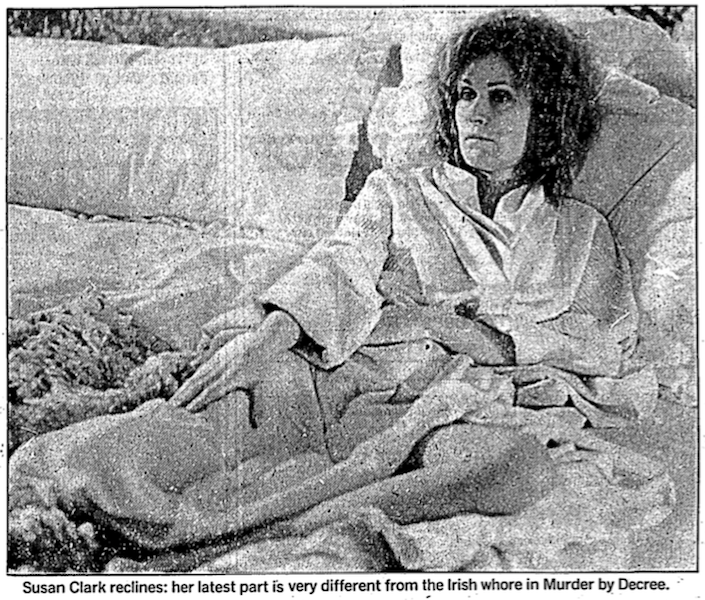 This too seems unfair; after all, the solution to her character's murder is key to Macdonald's plot. 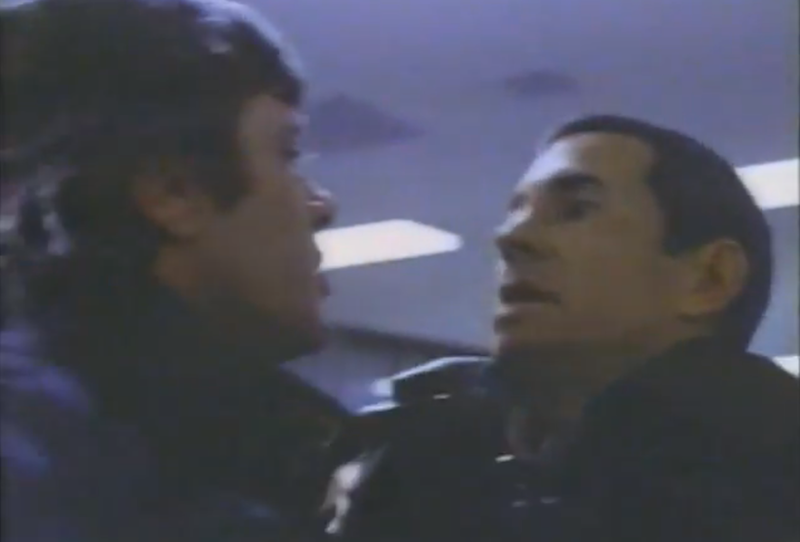 The Three Roads positions Larry Hopkins (Anthony Perkins) as prime suspect, but I'm not sure about Deadly Companion. Here we see an encounter between Taylor and Hopkins. In what I take to be a later scene, the two are involved in a dust-up. Taylor also takes on Dellassandro (Al Waxman). Same camera angle. Waxman's character doesn't feature in the book, nor do any of the five played by the SCTV cast. Fourth-billed Howard Duff portrays some guy named Lester Harlen. He's not in the book either. …allowing Perkins to do his thing. This murder/mystery makes little sense. "This is one of the things that's in progress, so it's a big question mark. The three writers [Hedley, Janis Allen, Charles Dennis] seem to be coming from three different places. We have improvised; the locations have stayed the same and so has the intent of the individual scenes but…"
The ellipses are Clark's… Or are they Scott's? I was hundreds of kilometres away in high school when all this was going on, and yet I realize, all these decades later, that I'm just one degree of separation from several of the key players in this drama. Forget it, Jake, it's Hogtown. 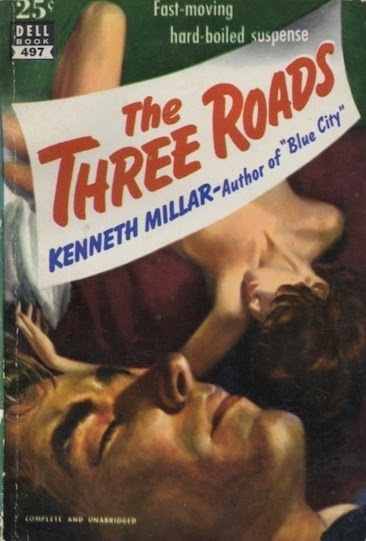 The Three Roads is a psychological thriller of the type in which Margaret Millar excelled. Here husband Kenneth, writing under his true name for the last time, falls a bit flat. But only in comparison. This story from Millar, mari, concerns Second World War veteran Bret Taylor, a naval officer made amnesiac by the loss of his ship and his wife. Now hospitalized, he's visited by Hollywood screenwriter Paula West. It was only a couple of years ago that determined Paula, a divorcée, saw a second husband in Bret. They'd met at a vacation resort and had shared nineteen nice enough days together. No bed, true, but twenty-something navy man Bret was a virgin. Months passed before they were able to meet again. When they did, Bret drank too much, felt pressured to perform and propose, and fled to Los Angeles. Forty-eight hours later – or was it seventy-two? – he found himself married to a nineteen-year-old barfly. Sure, but not 'til the second half. 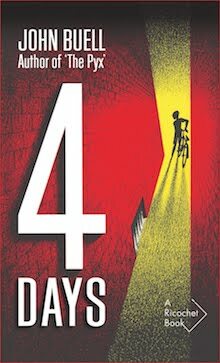 The earliest chapters of The Three Roads have Bret lagging behind, struggling to recall what the reader already knows. I spoil little in disclosing that his young wife was victim in the "murder in sunny California" referred to on the back cover. Bret saw her naked dead body beautiful and passed out. Credit goes to psychoanalyst Theodor Klifter for kicking this novel into gear. He hands over newspaper accounts of the murder, Bret springs to his feet, "irises shining grayly like small spinning wheels", and we're off! The way things were going he and Taylor might end up as bosom pals. And that would be a belly laugh of the first water. He was a card, all right, a real wag out of the top drawer with bells on. Look, I'm no psychologist, nor am I a psychoanalyst. That said, I recognize The Three Roads as very much a post-war work – not because of the conflict, but for its focus on psychopathy. 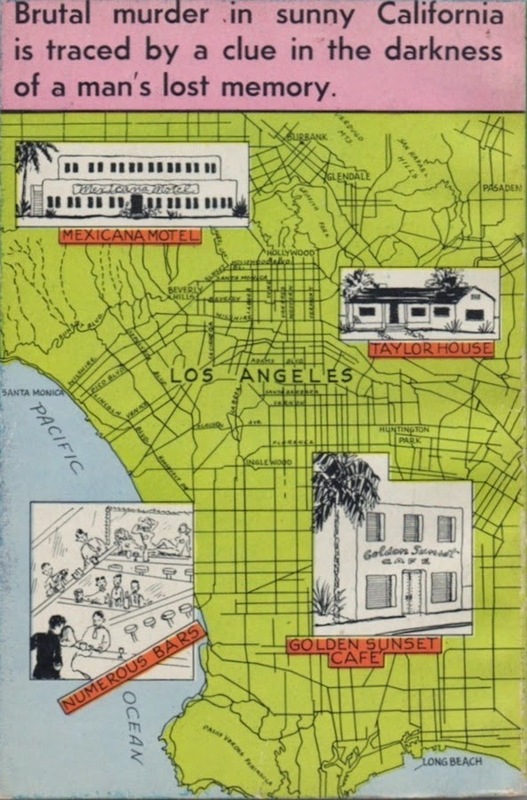 It's no accident that the Dalíesque cover of Knopf's 1948 first edition brings to mind Hitchcock's Spellbound. 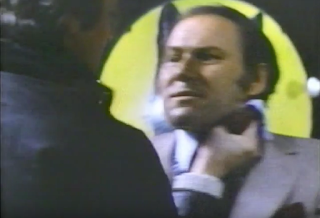 Herr Doktor Klifter is one of two – two – psychoanalysts who chew up page after page with theories as to the source of Bret's psychosis, Interesting stuff, I guess, but it was much more fun to read about Bret's bar fight. It seemed more real, too. 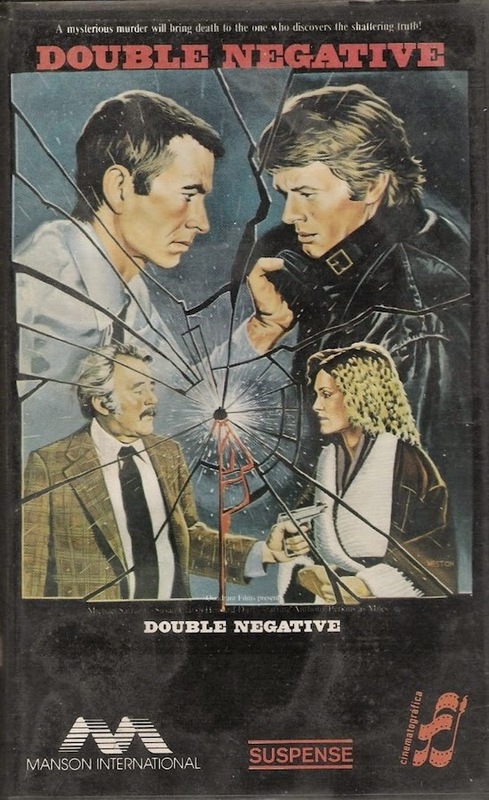 Trivia: In 1980, the novel was made into what looks to be a particularly bad Canadian film known variously as Deadly Companion, Double Negative, Killer aus den Dunkel, Kauhun pierre and Imagem Dupla. The subject of a future post. Object: A 222-page Dell mapback with cover illustration by Bob Stanley. 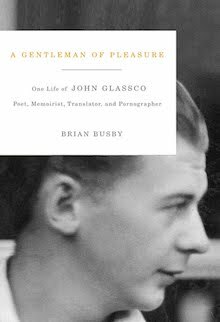 I purchased my copy for $7.50 this past January at London's Attic Books, a mere three kilometres down three roads from the University of Western Ontario, Millar's alma mater. 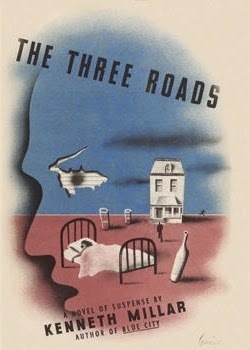 Access: Published in 1948 by Knopf, for a fourth novel from a major house the first edition isn't cheap. We're well over US$300 before we find a copy in decent dust jacket. The Knopf and Dell editions are the only to have been published under Millar's real name; the others – Cassell, Bantam, Corgi, Warner, Virgin, Allison & Busby and Vintage/Black Lizard – employ his more famous nom de plume. 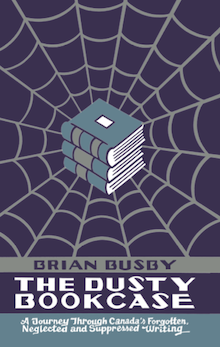 That last, the Vintage/Black Lizard edition, is in print at US$15.95/C$17.95. While Americans are well-served, we Canadians starve. The only library copies I see are held by the Kitchener Public Library, the Toronto Public Library, the University of Toronto and the University of Calgary. The University of Western Ontario does not have a copy. 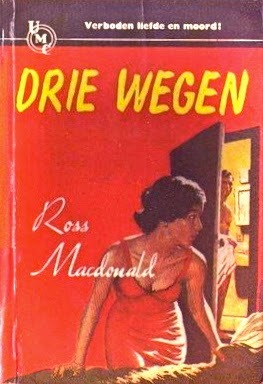 As with most Millar/Macdonalds, translations abound: French (La boite de Pandora), Dutch (Drie wegen), German (Der Mörder im Spiegel), Italian (L'assassino di mia moglie), Portuguese (Vitória amarga), Polish (Troista droga), Czech (Rozcestí), Finnish (Valheen pitkät jäljet), Russian (Tri dorogi) and Japanese (三つの道). Ron Scheer died this past weekend. He was my teacher. We never met. A son of Nebraska, for more than four years Ron served as a patient guide through the frontier literature of a century past. 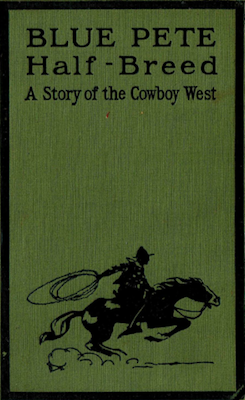 His blog, Buddies in the Saddle, opened the eyes of this cynical easterner so that I might recognize that these weren't simple novels of cowboys and Indians, but of commerce, railroads, mining, farming, timber, politics, suffrage, temperance, religion and racism. Early last year Ron was diagnosed with brain cancer. Buddlies in the Saddle took a turn toward the personal. 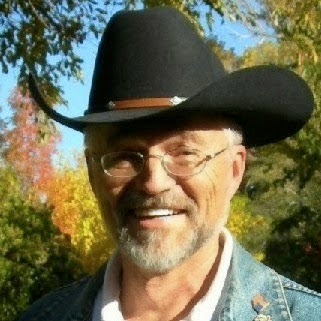 Ron's posts on books were now punctuated by musing on life, health, beauty, family. Family was the subject of his final post. 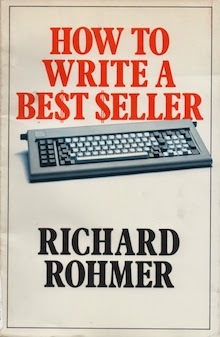 Ron posted his last book review seven weeks ago. 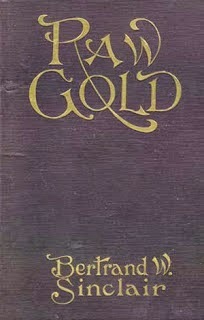 His subject was Blue Pete: "Half-Breed", a popular 1921 novel by Ontarian Luke Allan (né William Lacey Amy). 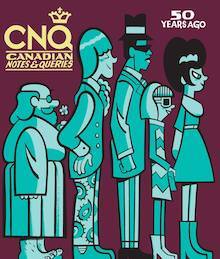 The Canadian Encyclopedia has no entry on Allan, nor does The Oxford Companion to Canadian Literature, nor does W.H. New's Encyclopedia of Literature in Canada; everything I know about the writer and his work comes from Ron. So many neglected titles. Small wonder that Ron was a regular at Friday's Forgotten Books, that weekly round-up hosted by mystery writer Patti Abbott. His was a unique voice. Friday's Forgotten Books will not be the same without him. I have this funny habit when I hold an old library book. I wonder how long it’s been sitting on the shelf in the stacks untouched, then of the different hands that have turned its pages over the years. I share the very same habit. 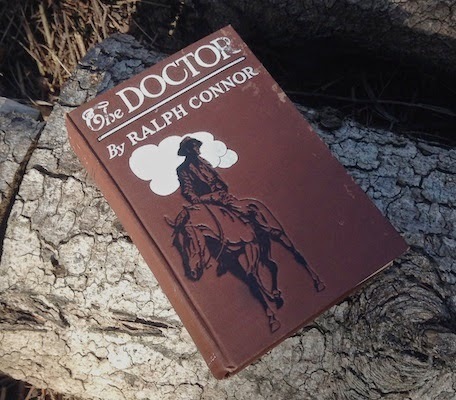 Now, picking up Ralph Connor's The Doctor, I can't help but think of Ron. Edgar Andrew Collard seems to have been a pretty interesting fellow. A Montrealer armed with a M.A. in history from McGill, in 1942 he found to work in the Gazette library – eleven years later he was editor-in-chief. Robertson Davies, once a newspaperman himself, wrote of his tenure: "I follow about 25 Canadian editorial pages day by day, and I see nothing to compare with this work, either in subject or in treatment." 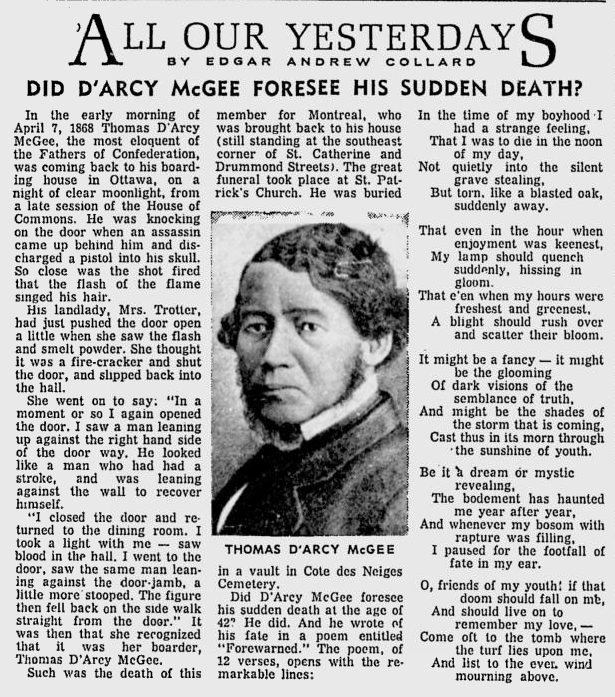 Did D'Arcy McGee foresee his sudden death at the age of 42? He did. And he wrote about his fate in a poem entitled "Forewarned." "Forewarned" meant nothing to me; it doesn't figure in the 612-page Poems of Thomas D'Arcy McGee. A quick search reveals that the verse isn't by McGee at all, rather it belongs to Irish novelist, poet and playwright Gerald Griffin (1803-1840). You can find all 64 lines beginning on page 395 of The Life of Gerald Griffin (Dublin: James Duffy, 1872), written by brother Daniel. I wonder if Collard ever realized his mistake. As far as I can tell, he never issued a correction. Published the following weekend, Collard's next column dealt with the sculptures gracing the Bank of Montreal Head Office. Verse on the 147th anniversary of the assassination of the great D'Arcy McGee. "Erin's Address to the Hon. 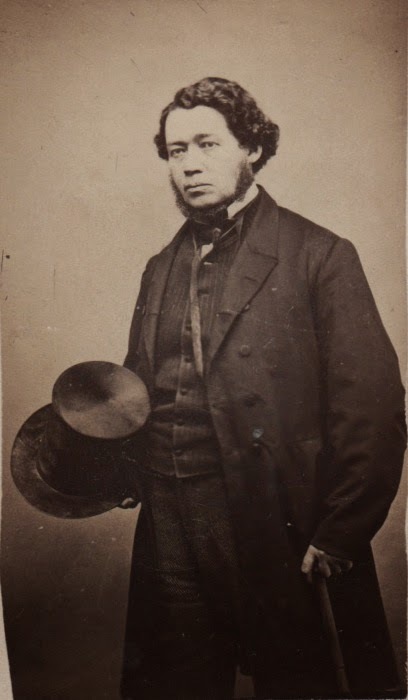 Thomas D'Arcy McGee" precedes "Death of D'Arcy McGee" as the first of two poems to the politician in Nora Pembroke's Verses and Rhymes by the Way (Pembroke, ON: S.E. Mitchell, 1880). I am Erin, green Erin, the "Gem of the sea." Listen, then, to thy mother's voice, D'Arcy McGee. For as great as thou art and most precious to me. Still thou art not my only one, D'Arcy McGee. They have taught the stern Saxon they know how to die. More dear to my heart than thou, D'Arcy McGee. And art thou not one of them, D'Arcy McGee! I had one son, and, oh, need I mention his name! The bane of the gifted, oh D'Arcy McGee. From the fiend that drags genius and wit through the mire. As thou very well knowest, my D'Arcy McGee. And my pride is relieved from this touch of disgrace. Thou wilt help to make Erin "great, glorious and free,"
And I bless thee my silver-tongued D'Arcy McGee. 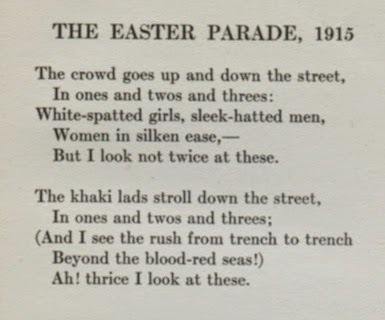 Lines from a century past found in Robert Stanley Weir's After Ypres and Other Verse (Toronto: Musson, 1917). 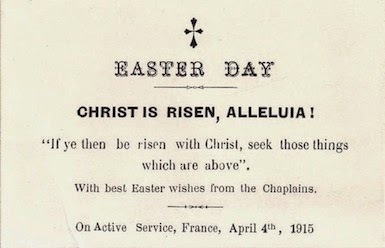 With Easter wishes from the Chaplains of the Canadian Expeditionary Force.